Sony's new paid-for PSN service is set to launch later this very month, with subscribers getting a range of full PSN games, games on demand, exclusive beta test invitations and discounts on the PlayStation Store. Sony's paid-for PSN subscription service will be called PlayStation Plus. Paying PSN subscribers will shell out £39.99 for a year's subscription or £11.99 for three months, for which they will receive one PSN game, two minigames and one PS one classic title per month. For a limited time Sony will be giving away three months for free. PS Plus users will be enticed to sign up to get WipEout HD for free, an InFamous trial, 2 PS Minis and Rally Cross on PSOne. Sony's PlayStation Plus announcement was overshadowed at its E3 conference by the announcement of PlayStation Move release date and pricing. Based on current Euro-to-Sterling exchange rates, Move is set to cost £33 and an additional £25 for the navigation controller. 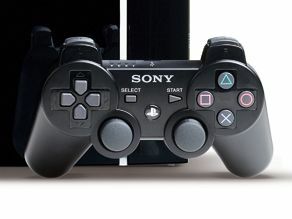 A bundle with PlayStation Eye, a Move controller and starter disc will set you back £49.